Very few good musical references to turkey or Thanksgiving. Very few musicians of note born on this year's Thanksgiving dates, November 26. 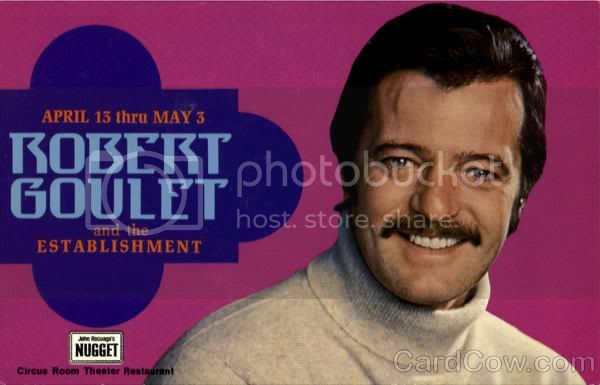 But alas, we were bailed out on the latter point by one particular birth of note: The late, great Robert Goulet! Happy Thanksgiving, folks. Just a reminder, look for the Best of '09 Lists coming out next month. Nice! Youtube has it all!